Add an egg for instant fun! I have seen lots of egg cups. Most are the traditional hourglass shape. This one is a bit different. 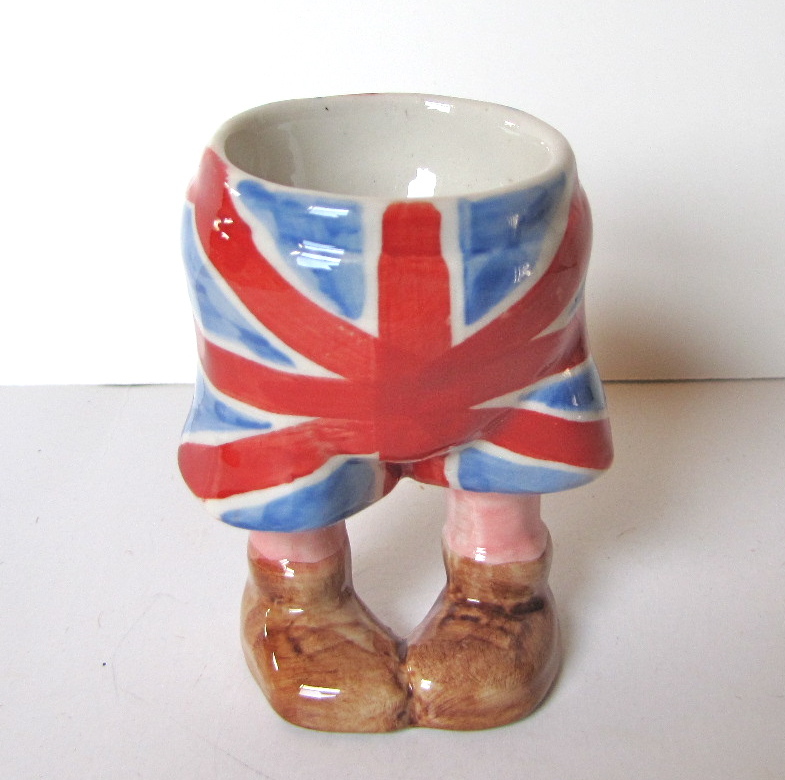 Paint a face on the egg and you’ve got yourself a British figurine.